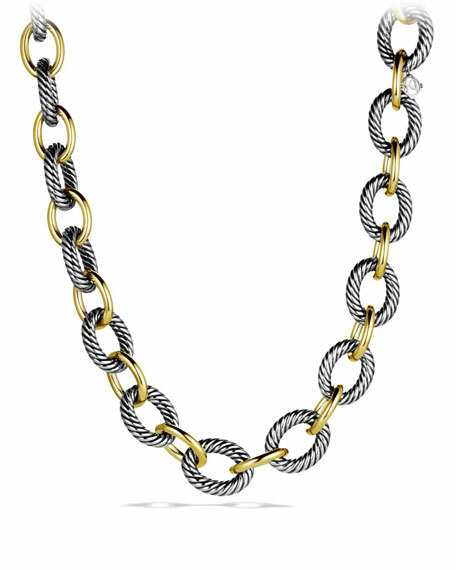 David Yurman XL Sterling Silver & 18K Gold Link Necklace, 18.5"
David YurmanXL Sterling Silver & 18K Gold Link Necklace, 18.5"
18-karat yellow gold accent links. David Yurman pendant necklace from the Solari Collection. 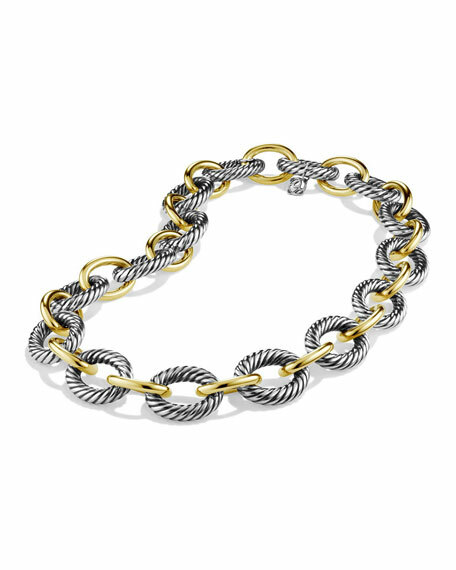 Polished sterling silver and 18-karat yellow gold hardware. Integrated round yellow gold bead pendant. Rounded white diamond pav?? accents. 0.03 total diamond carat weight. Adjustable; lobster clasp. Approx. 17"L.
David Yurman necklace from the Ch??telaine?? Collection. Sterling silver box chain. Pav?? white diamonds trim bale, bezel, and prong setting. David Yurman necklace from the Ch??telaine?? Collection. Sterling silver box chain. Pav?? white diamonds trim bale, bezel, and prong setting. Your choice of pendant in faceted black onyx or lemon citrine, 9mm (0.4"). 0.20 total diamond carat weight. Lobster clasp with two length settings. Approx. 18"L. Imported.